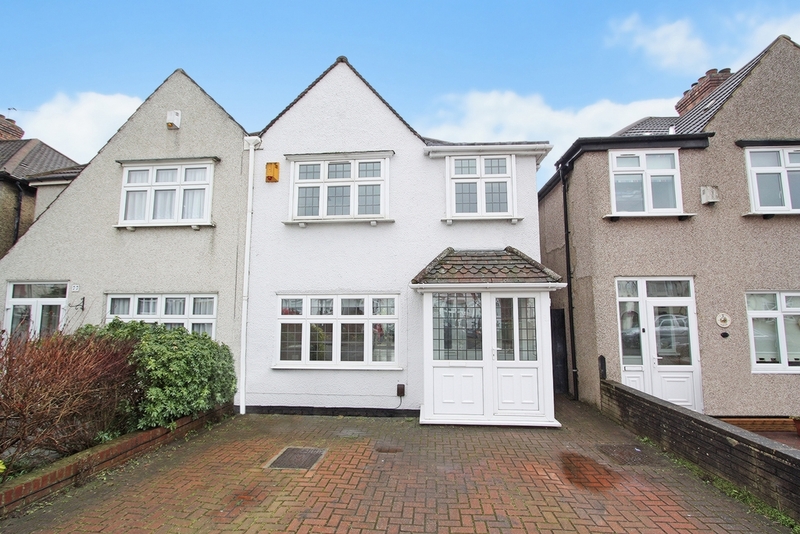 Ashton Reeves are delighted to offer this 3 bedroom extended semi detached family home, which has recently been refurbished to a high modern standard. 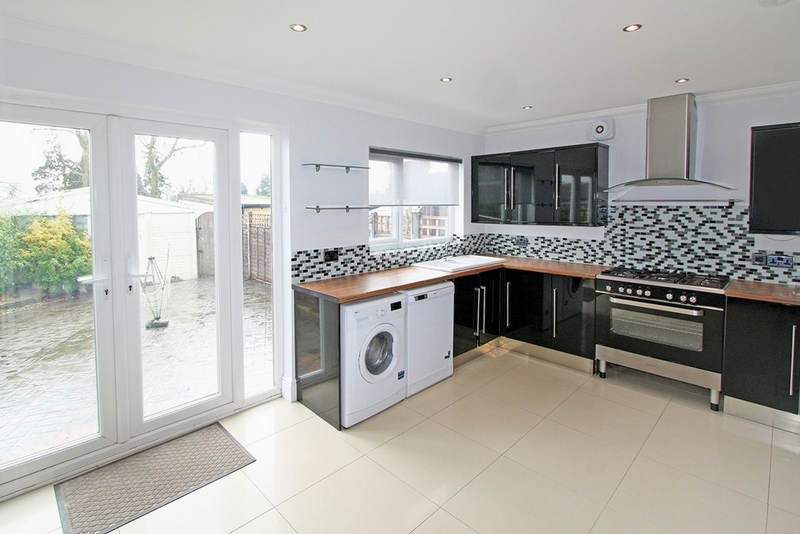 This property comprises of ground floor shower room, large through lounge, modern kitchen with appliances, 3 bedrooms all with built in wardrobes and newly installed family bathroom. The property has been decorated to a sleek modern finish. 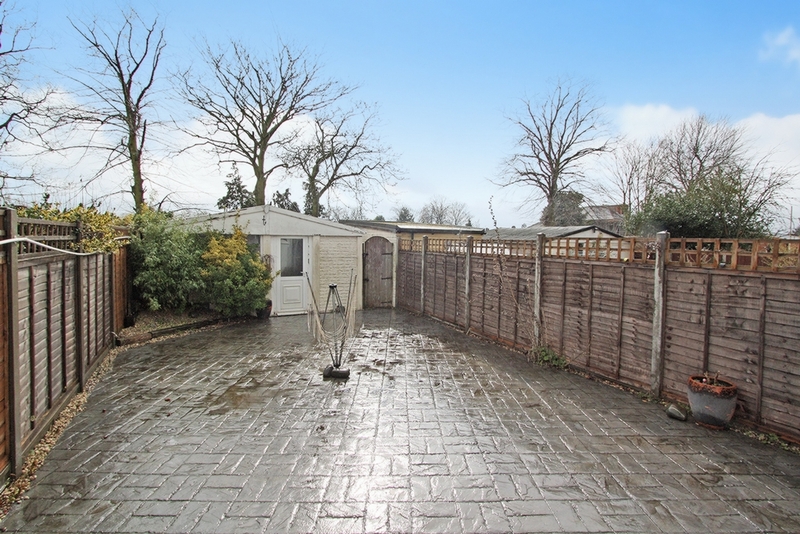 Externally to the front is a driveway for 2 cars and the rear garden is print paved with garage. The property is well located for local amenities, including; Bedonwell Junior School, West Heath recreation grounds and Abbey Wood train station. Available Now, sorry No DSS. Brick paved with off street parking for 2 cars. Double glazed, tiled flooring with spot lights. 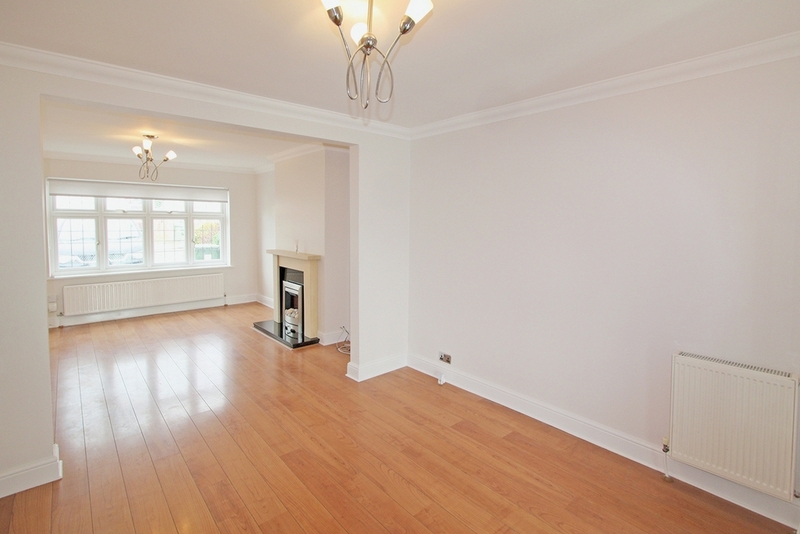 Bright and spacious hallway, with grey carpets with radiator. Carpet laid with double glazed window to top of landing. 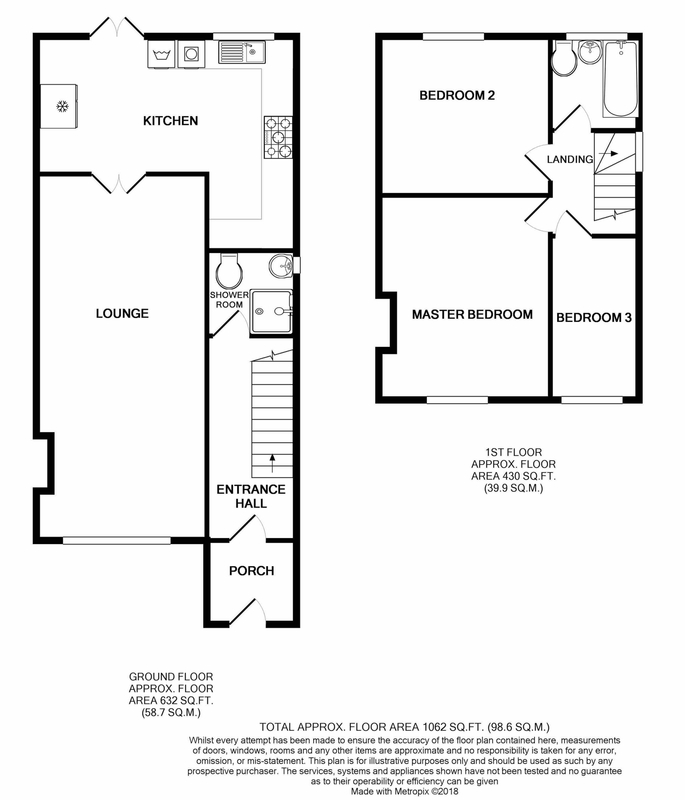 Newly decorated to a high finish, this through lounge offers great living and dining space. 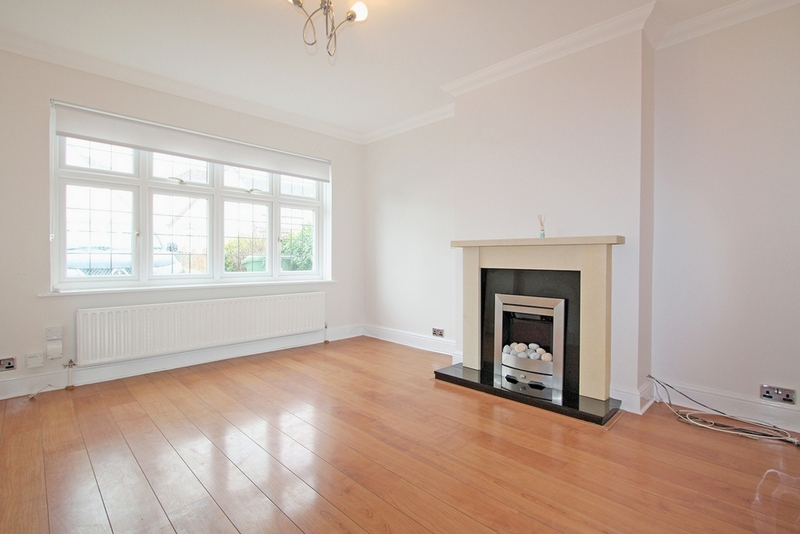 Wooden flooring, feature electric fire place, 2 radiators, double glazed window to front with wooden French doors leading to kitchen. 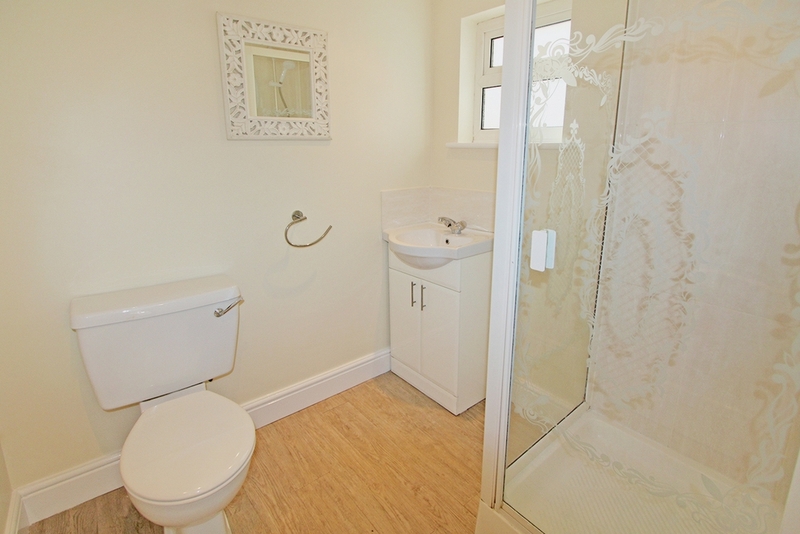 Great use of space with an enclosed shower cubical with electric shower, W/C with vanity sink unit. Vinyl flooring and double glazed window to side. Modern high end kitchen with gloss black base and wall units with oak worktops. Tiled flooring with tiled borders. 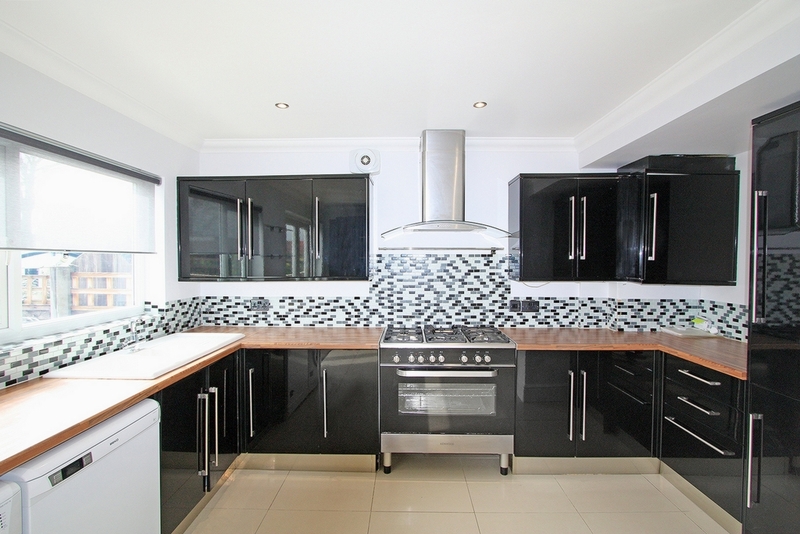 Appliances include; American style fridge freezer, washing machine, dishwasher, range 5 burner cooker with extractor hood. Double glazed patio doors and window to rear garden. 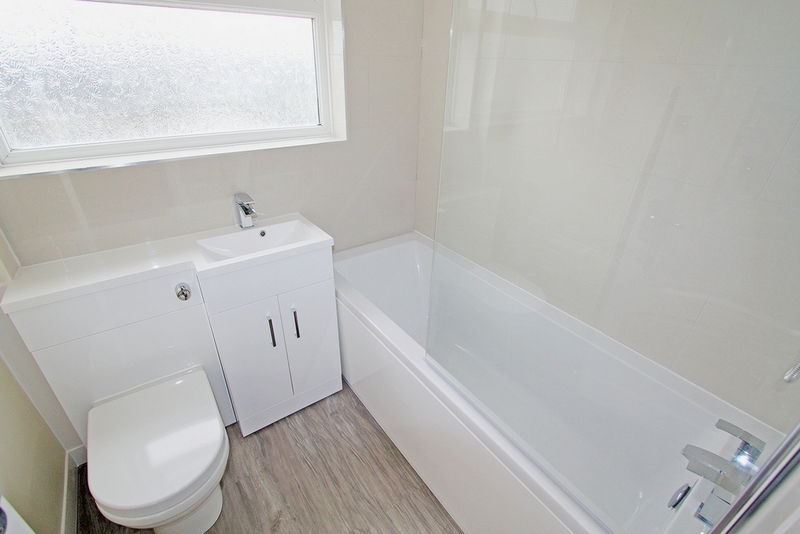 Brand new 3 piece modern bathroom suite. Enclosed W/C, vanity basin unit with shower bath. Half tiled walls, vinyl floor with double glazed window to rear. 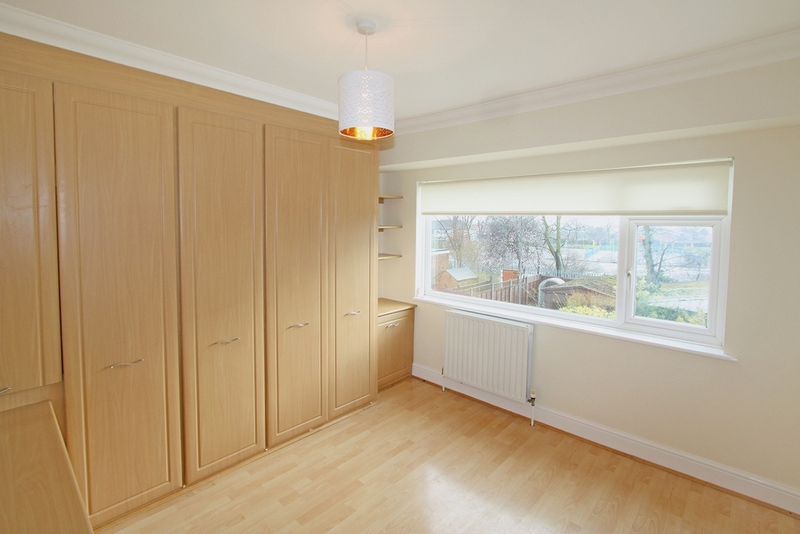 Double bedroom with built in bed surround wardrobe and separate dressing table. 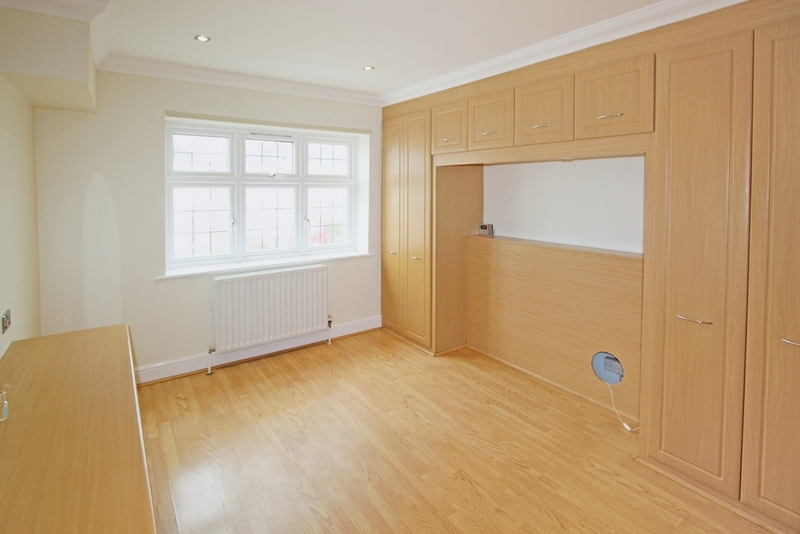 Beech laminate flooring, radiator and double glazed window to front. 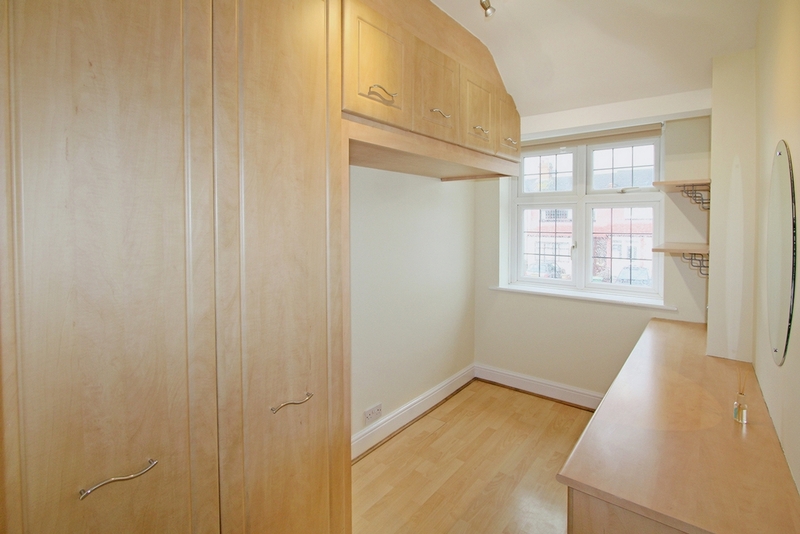 Double bedroom with built in wardrobe and separate dressing table. Beech laminate flooring, radiator and double glazed window to rear. 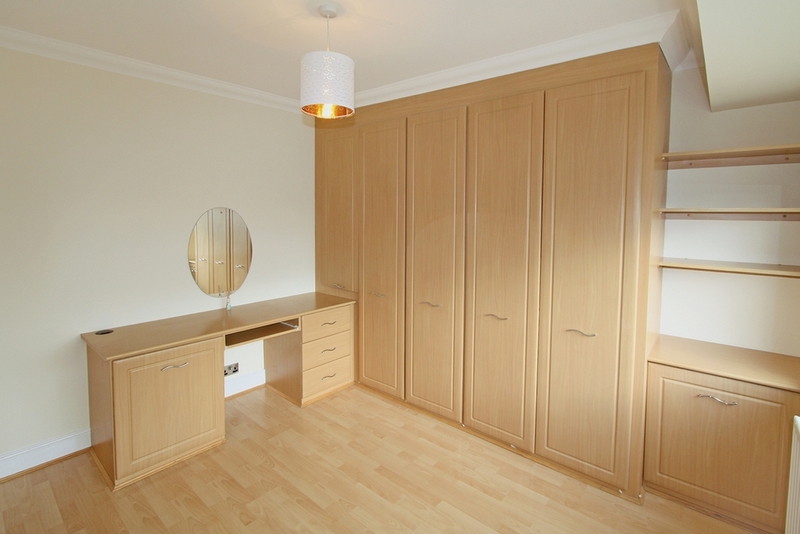 Single bedroom with built in bed surround wardrobe and separate dressing table. Beech laminate flooring, radiator and double glazed window to front.